The cerebellar hemispheres are the regions that are colored green and purple above. 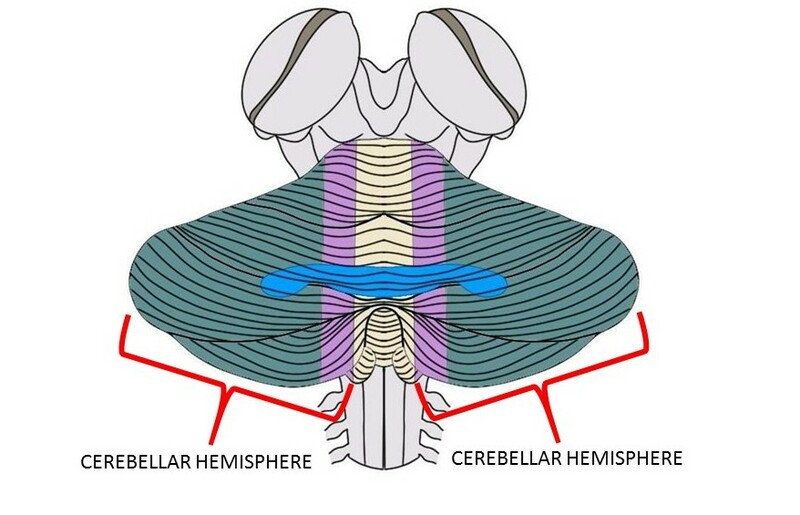 the largest regions of the cerebellum, the cerebellar hemispheres are two divisions of the cerebellum on either side of the vermis. They are functionally subdivided into lateral and medial portions. See spinocerebellum and cerebrocerebellum.